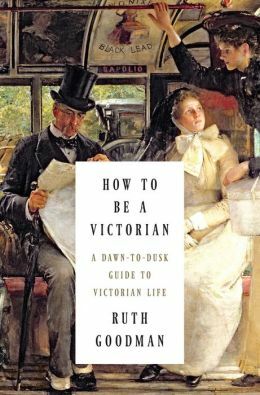 This nonfiction work, rather than trying to give an in-depth look at the entirety of the Victorian era, its politics, its culture, etc., is simply a guide to the nitty gritty of the dawn to dusk life of the average Briton in Victoria’s lifetime. Film and novels gloss over the small things, like hygiene, laundry, food. Goodman, however, explores them with an eye for detail that does not fail to amaze. Despite being a devout fan of Victorian literature, I didn’t have a grasp on the mundanities of that life until reading this book. Goodman, a professional historian, has spent a good deal of time “living” in different eras. She has spent years of her career working and living on/in an Edwardian farm, a Victorian home, a Tudor palace, and she has the authority and experience to back up her historical descriptions with personal tales. It makes her research and knowledge on the subjects that much more real and appreciable. I wish that Goodman would write further explorations of the day-to-day experience of Regency Britons, Tudor Britons, etc., but this is a fantastic beginning and a well-researched and authoritative place to start for anyone curious about what really happened when a Victorian rose for the day. Highly recommended.